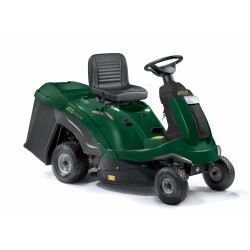 Ride On Lawn Mowers are ideal for keeping much larger gardens or commercial spaces looking in tip top condition. They will save you valuable time and effort thanks to their powerful and efficient engines. With excellent maneuverability, speed and collection or mulch options, we stock the machine that is suited for you. John Deere, Husqvarna, ATCO and Cub Cadet are all available from us at competitive prices. Our expert staff can help you discover your options and what models may fit your individual needs. Give us a call or pop into one of our branches for any more information. Ride On Lawn Mowers There are 21 products. Powered by a Briggs & Stratton Engine, the GT 38H is a powerful Hydrostatic Ride on lawn tractor from ATCO which features a 98cm twin-blade cutting deck. The GT 48H Twin is the flagship model in the Atco tractor range. 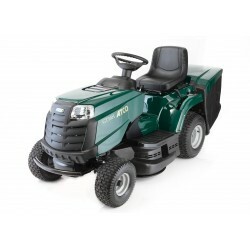 The ATCO Rider 28H is a premium machine in both quality and specification, it features the power of a garden tractor but with a more compact, manoeuvrable chassis. It is all powered by a Briggs & Stratton PowerBuilt Series 3130 AVS engine and Hydrostatic transmission. The John Deere X105 ride-on lawn mower is a fantastic value machine which features automatic transmission and a powerful OHV engine. This makes it ideal for lawn sizes up to 4000 m². The John Deere X116R is a fantastic Ride-On Lawn Mower which has been specially designed for customers who want the highest quality product available for cutting and collecting.